Our review of Sweet Hearts Patisserie is long overdue. We originally planned to try them back in June, but a big storm left Annapolis without power. I called to see if they were open with cupcakes, but was told their ovens were down. Nothing would be baked fresh that day, so the only cupcakes available would be ones that had been refrigerated from the day before. We wanted to make sure we tried them when they weren’t at a disadvantage, so instead we went to JoJo’s Cupcakes & Cream. After waiting almost all summer, we finally had the opportunity to try them when my dad brought them to our August rained out picnic gathering (Yes, it’s been since August! We’ve had so much cupcaking going on, that it’s taken us this long to get our review to you. Please forgive us!). 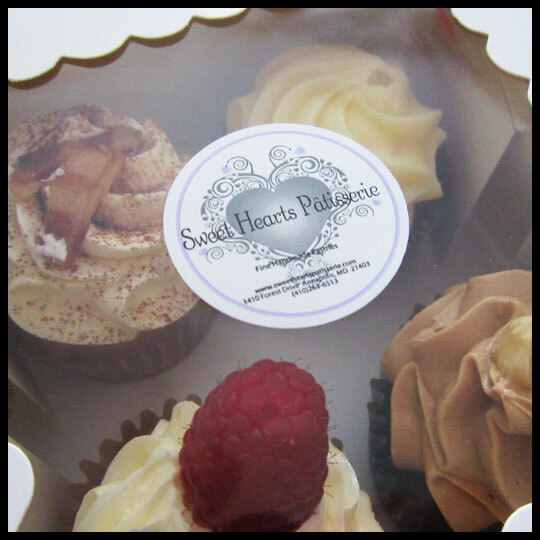 We were very excited to try cupcakes from Sweet Hearts Patisserie. From their website their shop looks very chic and boasts French style pastries such as petit fours, macarons, cakes, eclairs, croissants, and more. My dad said that the person helping him was very friendly. She even circled the cupcakes he selected on the menu, so that he wouldn’t forget when he brought them to us. Unfortunately we were let down by what we tasted. This cupcake had a dense cake, and while we aren’t opposed to that, it was also dry. 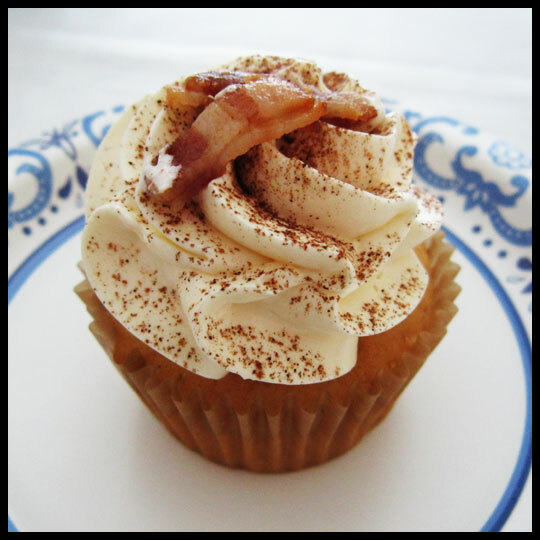 The bacon, which topped a buttercream frosting, wasn’t crunchy like you’d expect, but instead had a chewy texture. Crusader Elisa and I agreed that the flavor was good, but couldn’t save the cupcake from its failed textures. 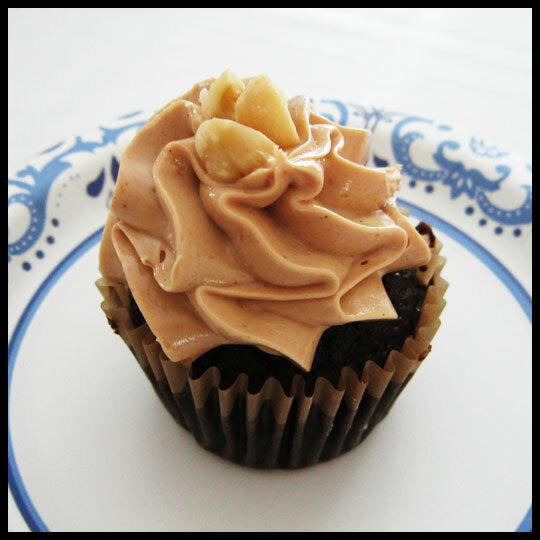 The cake in the Chocolate Hazelnut cupcake was also dense, but not dry (more fudge like). I thought I picked up on coffee flavor, but Crusader Stacy said that could be because I’m so use to hazelnut coffee. 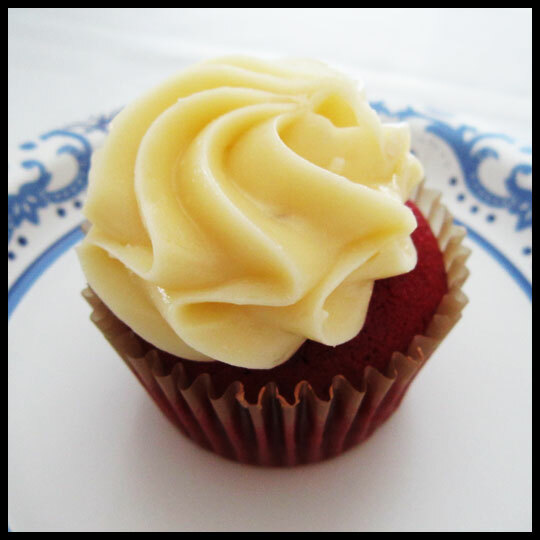 The frosting was buttery and the cupcake had an overall good flavor. Despite the better cake texture, it still wasn’t our favorite. We all know Red Velvet is hit or miss (and is mostly a miss with me). Crusader Elisa, our Red Velvet connoisseur, thought the flavor was good, but not great. Again, the dry, dense cake couldn’t save it. Among the four we tried, this was our favorite. 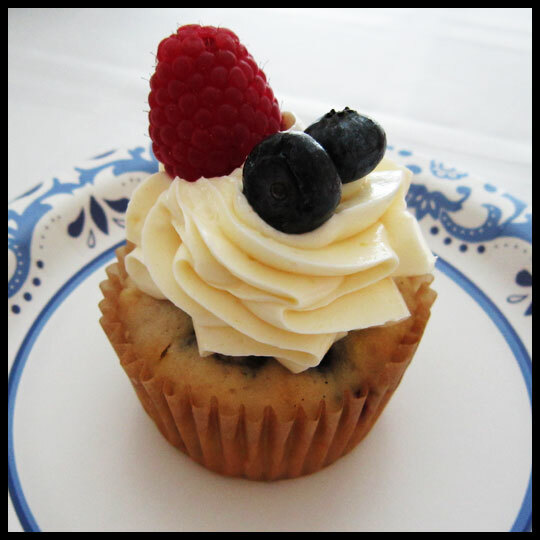 The fresh berries on top and in the cake were the redeeming quality, adding moisture to the dense cake. We were all really surprised by these cupcakes, but not in a good way. They are so pretty and we had high expectations, since Sweet Hearts Patisserie is a bakery that specializes in many French style confections. But maybe that’s their downfall versus other places that focus solely on cupcakes? I do think I would give them a second chance, given the opportunity, especially if it was to try some of their other pastries or macarons. The photos they post on Facebook look great and make me what to test them out again. If you’ve tried them, let us know what you think and what treats you had. This entry was posted in Annapolis, Cupcakes, Maryland and tagged Annapolis, chocolate hazelnut, cupcakes, lemon berry, Maple Bacon, Red Velvet, Sweet Heart Patisserie by Crusader Jenn. Bookmark the permalink. They look delicious. SAd that they didn’t taste as good as they look. I like light cupcakes, not dense. It’s always great to read your honest evaluations of cupcakes.